Have your outdoor activities or exercising been affected by the end of British summertime ? Maybe you are just looking to tone up or improve your fitness levels, especially as the festive season fast approaches. As the daylight shortens and the darkness and colder weather approaches, alternative options are there for you to take advantage of at our local leisure centre. Each month Rye Leisure Centre showcases a new class for you to try. 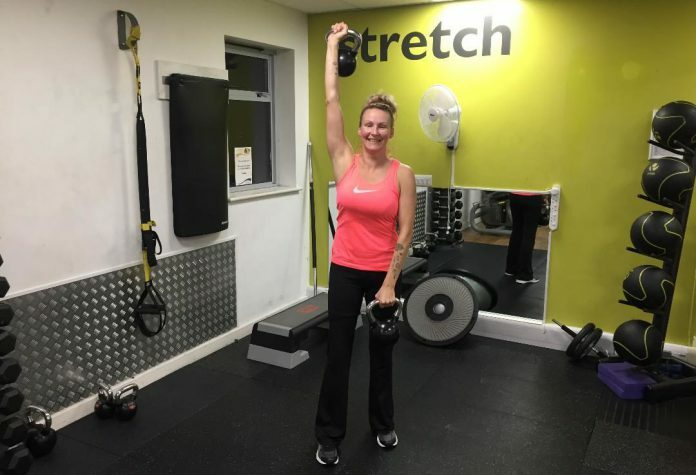 This month it’s Friday evening Kettlebells with Louise from 6-7pm. Kettlebell training will help kick all your fitness goals into high gear. It’s well-known that compound, whole-body movements typical of kettlebell exercises are superior to machines that isolate muscles for improving muscle tone, body composition, and strength. Further, kettlebells strengthen the tendons and ligaments, making the joints tougher and less susceptible to injury. Try this class free throughout November, no booking required, all levels, absolute beginners very welcome, just turn up.